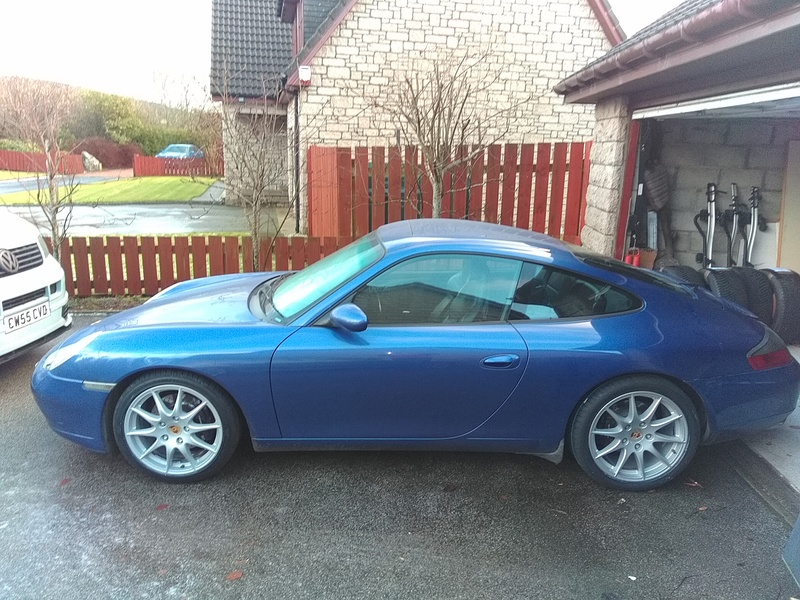 911uk.com - Porsche Forum : View topic - Anyone use a 9in rear wheel or more square wheel set up? 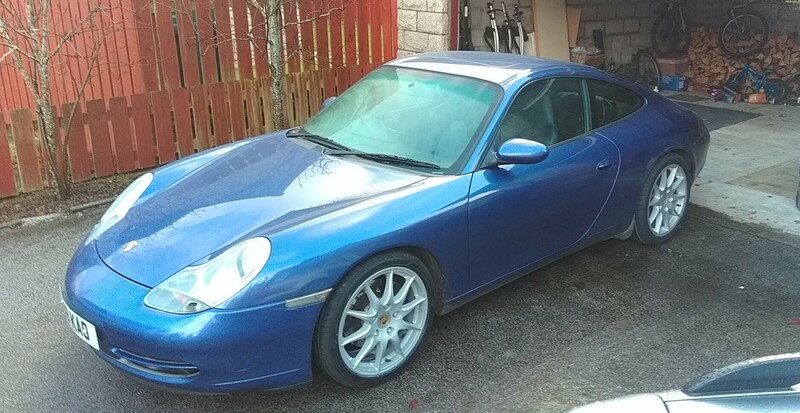 911uk.com Forum Index > 996 (1997 - 2005) > Anyone use a 9in rear wheel or more square wheel set up? Posted: Tue Nov 14, 2017 3:38 pm Post subject: Anyone use a 9in rear wheel or more square wheel set up? 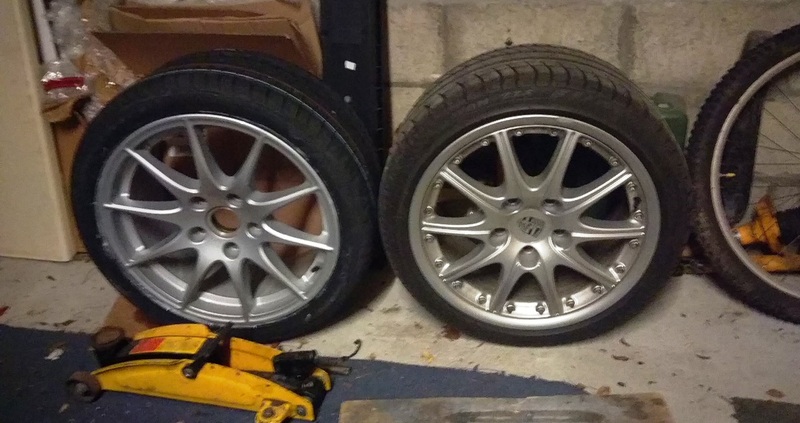 Looking at various OE wheel options and considering a set of Panamera 18in wheels as one of the options (had a set on my Boxster and liked them). Only thing is rear is 9in wide as opposed to 10in std (although 17in wheels are 9in). Id still use the same tyres @ 265 so to me the affordable grip would be the same. The fronts are 8in as opposed to 7.5in but again same tyres to be used. Anyone done this that has noticed anything untoward? To me it just seems a cosmetic change really. 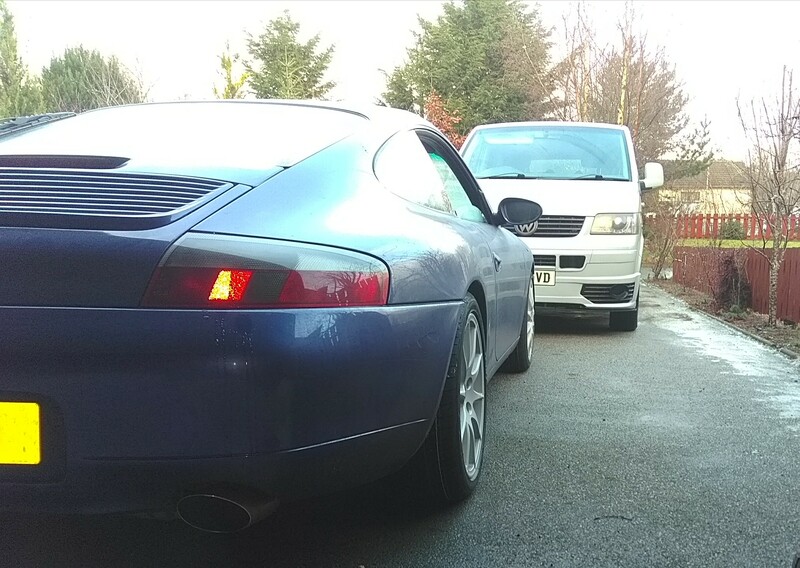 If they for panamera and noxster are they going to be the correct rear offset for a 996? There okay, I'm using spacers anyway at the moment. The 996 17" wheel has a 9J rear..
Don't caymans run 8 and 9? Would probably be fine using oe width tyres. Or maybe run 17" width tyres as the rims are that width - 205 and 255 to balance the car as factory - would a 265 be too wide for the 9" rim? 205 may be too narrow for an 8. 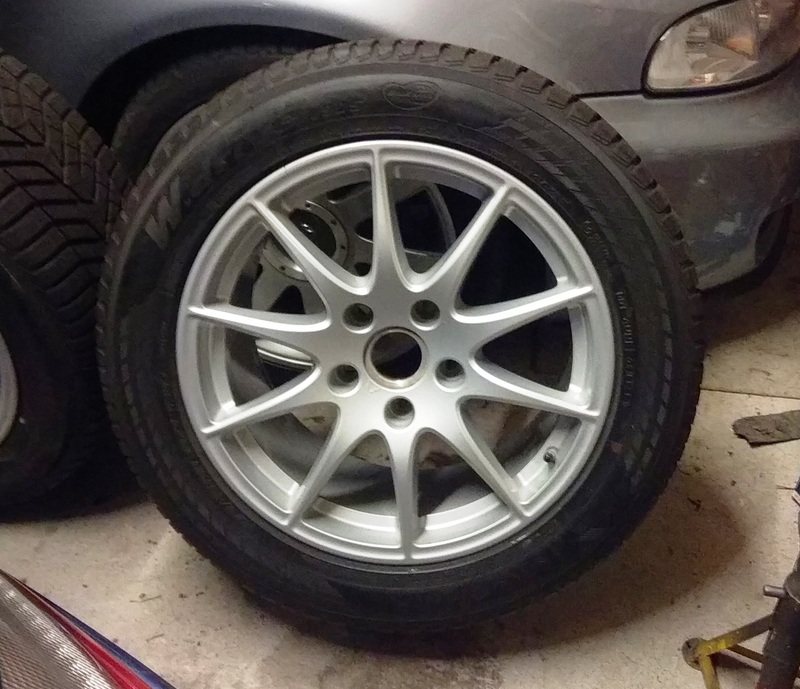 From offsets they look like they wlll fit without spacers, although the front rim will be 15mm closer to the strut. They look nice, like an 18" version of the 17" carrera multispoke. Yeah they are 8in and 9in. I feel the 265 on the 10in is a little stretched looking. 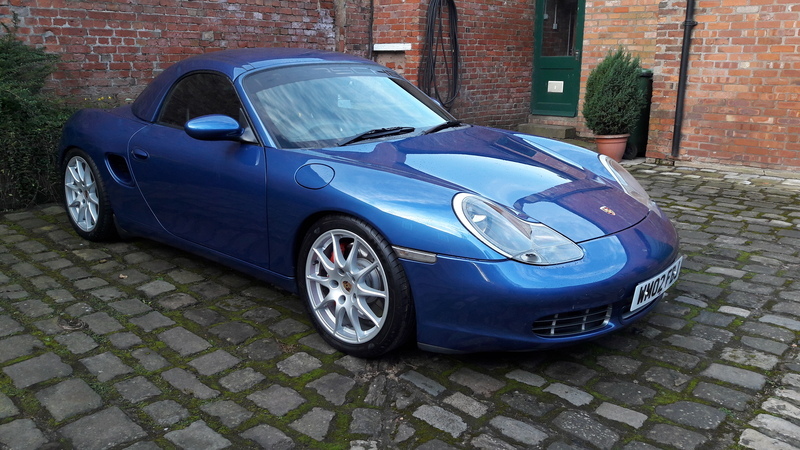 When I had them on my Boxster I had same size tyres as I run now i.e. 225/40 front and 265/35 rear so straight swap. Weight wise there pretty light, lighter than the Sport Designs for sure. 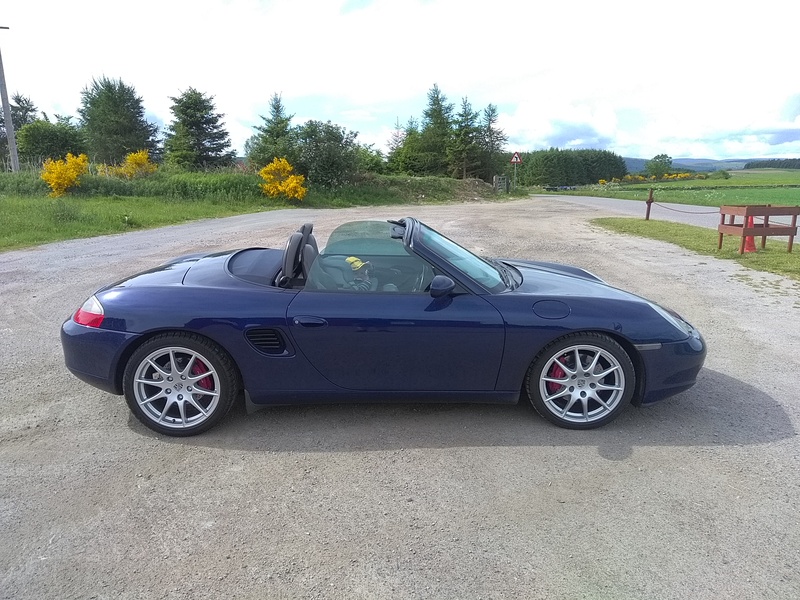 They really suit the boxster well. Found a set locally so I'm going to give it a try. So heres a before with balloon tyres, not flattering. New tyres on tomorrow and should get them fitted over the weekend. Going with Goodyear F1 Assy3, 225 front and 265 rear as currently fitted. Hope they look okay as the sports designs have been sold. Certainly lighter for sure, I'll do a comparison when changing over for anyone thats interested. Won't get a chance without tyres but I'll weight these and sport design with tyres to get a semi accurate comparison. New tyres on and measured the wheels weights. Front with 225/40/18 are 19kg. Rears with 265/35/18 are 21-22kg. I did get one sport design rear of quickly to measure and it was 25-26kg so a good 3-4kg saving per wheel at the rear. I suspect front will be around 2kg per wheel so I would say these are on par if not slightly less than the MY00 5 spokes. Note they are also BBS manufactured as well. Quick blurry out of focus pic of the two side by side. Hoping to get swapped over this weekend and car out if the snow and ice go away. 1kg of the saving will be because they are an inch narrower, but otherwise looks to be a saving. I was concerned they would be heavier but that isn't the case. Managed to quickly swap wheels over between family duties and grabbed a few quick photos. I'm happy, I think they suit the car well. Not drive yet so no idea if they feel any different. 15mm front spacer and 9mm rear that I'm changing to 15mm as well. On the standard setup the 265 looks stretched over the 10in rim. On these I guess it has a more vertical sidewall. Car looks fab too, I was looking for one in that colour when I was shopping. Yes the tyre is more square.